We know Summer is months away but that doesn’t mean you can’t enjoy sensual, glowing summer skin now. You don’t have to wait for the warm summer months to show off sun-kissed skin. You don’t have to go away to somewhere tropical either. With the new range of Sol de Janeiro GlowMotions Glow Oils, your skin can look summer-ready, right now. In Brazil, glowing skin is a year-round obsession, and Sol de Janeiro wants you to join in on this infatuation now. These oils come in an easy-glowing pump for perfect, no-mess application. You’re left with deliciously scented glowing skin, every day! 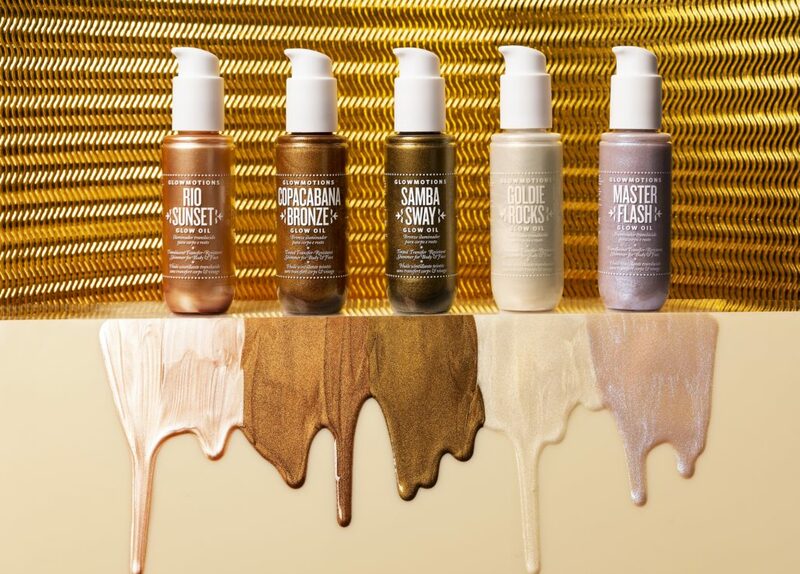 The skin-softening and hydrating glow oils, were originally available Copacabana Bronze (a warm bronze tint) and Rio Sunset (a translucent champagne shimmer); now they are also available in three special edition Summer 2019 shades: Samba Sway, Goldie Rocks and Master Flash! The best part? 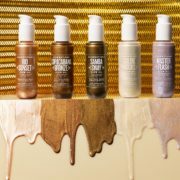 These limited edition shades smell incredibly delicious and you can mix them all for even more glow shades and effects. Samba Sway (Natural Sun-kissed Glow) – A natural for all skin tones, this luscious, illuminating light creates a soft, sun-kissed glow. No one will be able to resist this irresistible glow. It evens out skin tones and red undertones, too. Goldie Rocks (Pop Icon Golden Glow) – A rock starry light shimmer that transforms into pop icon glow that’s amazing on all. Flecked with scintillating light for a golden-luscious sheen and skin-lit effect. Master Flash (Hip Hot Kaleidoscope Glow) – This hip hot illuminator spins a see-and-be-scene glow with strobes of light and flashes of color for high-volume funk. Get all five shades for $35.00 each on www.soldejaneiro.com. Want to take your makeup look from day to night without having to carry a lot of makeup around? 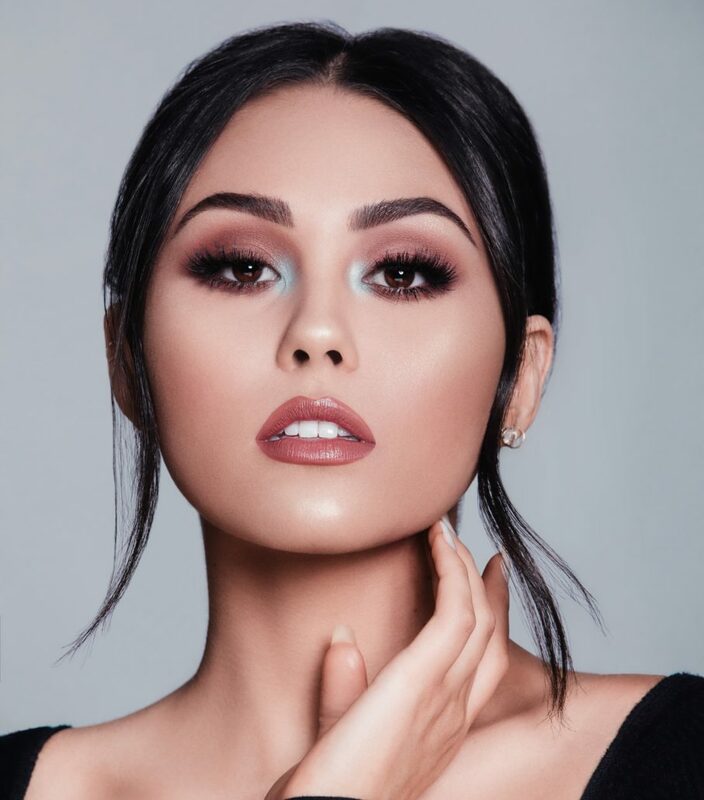 Check out the newest makeup palette Deck of Scarlet has just launched with influencer Roxette Arisa. 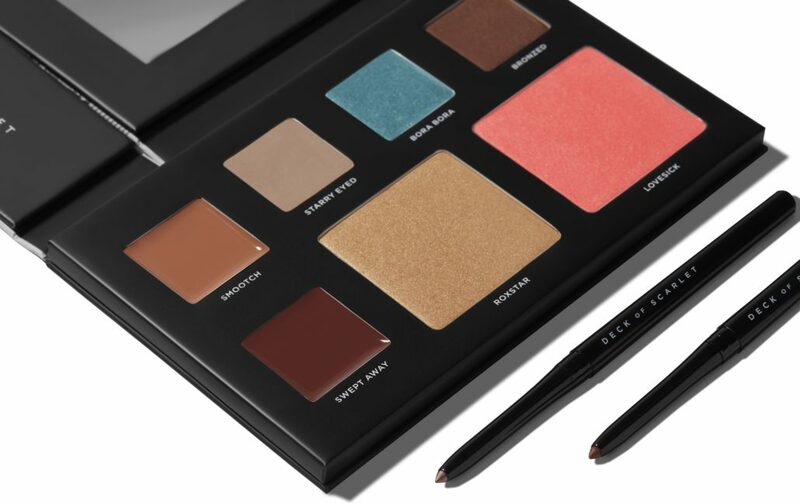 Deck of Scarlet’s makeup Palette Edition #07 boasts high-quality, fully-pigmented, shades in nine beauty essentials from eyeshadows, cheeks, lips, and liners. Escape to the tropics with Deck of Scarlet’s beauty Palette #07. 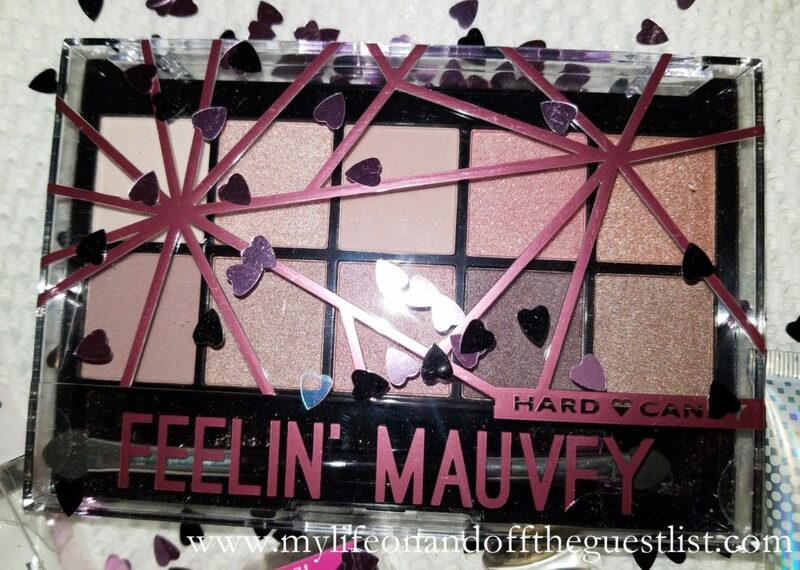 The nine-piece beauty palette includes three eyeshadows – Starry Eyed, Bora Bora, and Bronzed; one highlighter – Roxstar; one cheek color – Lovesick; two lip colors – Smootch and Swept Away; one lip liner – Foxy; and one eyeliner – Goddess. Want to transport your look to exotic sandy beaches? Try the stunning eyeshadow hues of Bora Bora, a sizzling aquamarine shimmer, and Bronzed, a metallic brown that builds a sultry gaze. 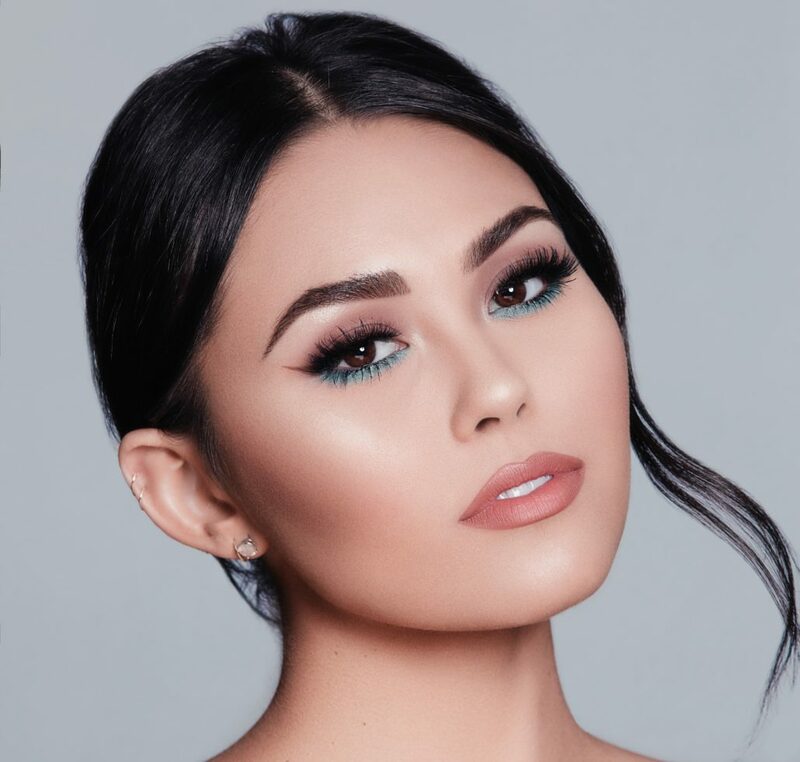 The Lovesick cheek color adds just the right amount of flush pink across the cheeks, while gold-tinged Roxstar highlights all your best angles. Get ultra-luxe lips, using Deck of Scarlet’s creamy matte formula – perfect for layering on all day and into the night. 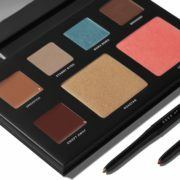 For those of you not familiar, Deck of Scarlet is a monthly subscription-based makeup palette service which offers a new full-sized palette every two months. Each palette is made in collaboration with a popular YouTuber and once the limited edition palettes are gone, they’re gone forever. Every palette comes with eight or nine makeup products, assortment will change with every palette. The products are all animal cruelty-free, paraben-free, and made in the US. As with all monthly subscription services, you can skip a month, or cancel anytime. 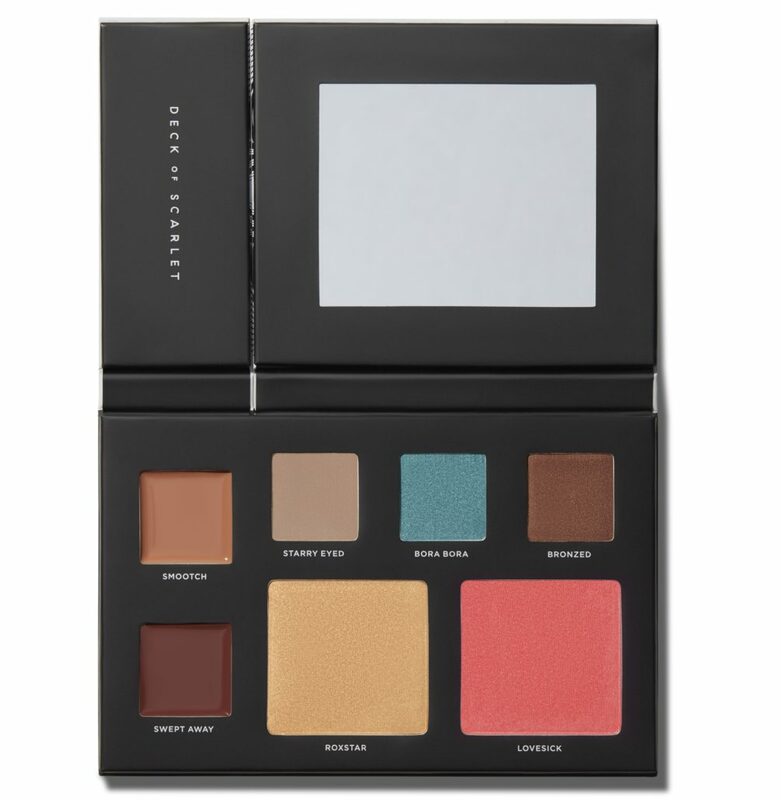 Palettes offer multiple makeup looks in one, and are only $29.95 each for subscribers (a $132 value). The Palette Edition #07 with Roxette Arisa is available now for only $29.95 to subscribers or for $44.95 for non-subscribers. Are you ready to be all decked out with the gorgeous color palettes from Deck of Scarlet? There’s one thing we’ve learned when it comes to our hair…..keep it properly hydrated. There’s nothing more dangerous to ethnic hair than dryness. It can cause all kinds of issues like breakage, split ends, frizz, etc, so we make sure to follow the rule. When it comes to our hair, we moisturize, moisturize, moisturize. We love hair care products made with the key oils like argan, coconut, baobab, jojoba, and the like. Today, we’re highlighting the Novex Mystic Black Brazilian Hair Care Collection, which is made with oil from the seed of the Baobab Tree. The Novex Mystic Black Collection was developed to empower women’s beauty by leaving the hair with the right level of moisture and ultimate shine it needs. The intense hydrating oil from the seed of the Baobab Tree, which originated in Africa, helps to prevent dryness and brittleness caused by heating tools, harsh weather conditions, and chemical treatments. Get ready for intense hydration, splits ends protection and frizz control. Baobab oil is a soothing and rich element that contains vitamin A, C, D, E, and omega 3, 6 and 9. When combined with Novex technology, it gives you the hydrated hair we’re all looking for. Mystic Black Leave-In – a powerful detangler with Baobab Seed Oil enriched properties which makes the detangling process much smoother. With daily use, it gives your hair the extra shine it needs for styling and protection of your hair from dryness and split ends. 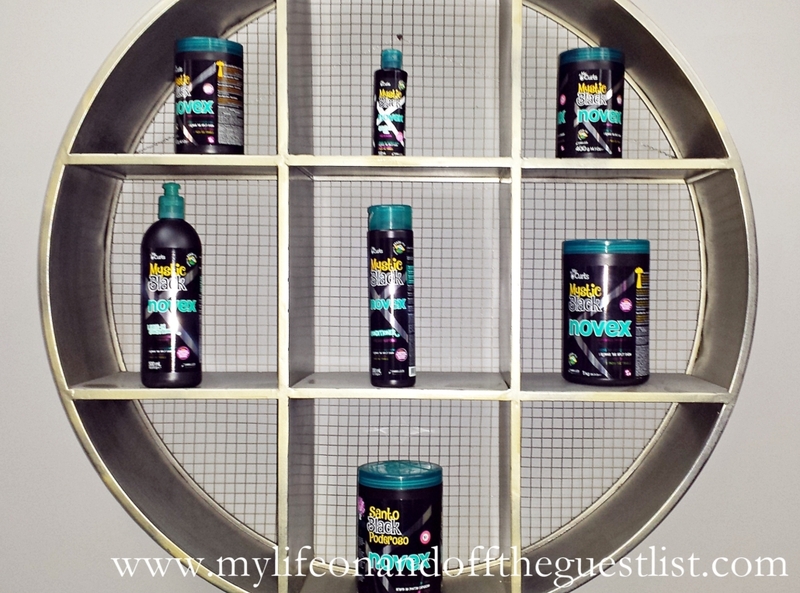 Mystic Black Shampoo – a sulfate free shampoo enriched with Baobab Seed Oil. Ideally, hair that suffers from dryness and brittleness. This cleanser enriched with Baobab Seed Oil stands out for its high moisturizing action, easy to absorb and shine enhancing nutrients. Mystic Black Conditioner – a daily care conditioner that is also enriched with the powerful Baobab Seed Oil which provides a miraculous hydration, shine and frizz control for your hair. Mystic Black Hair Mask – a deep hair mask that provides the most powerful hydration and magical shine for damaged and tangled hair. This new extreme treatment from Novex helps to prevent dryness and brittleness and repair split ends caused by heat tools, weather, and chemical treatments. 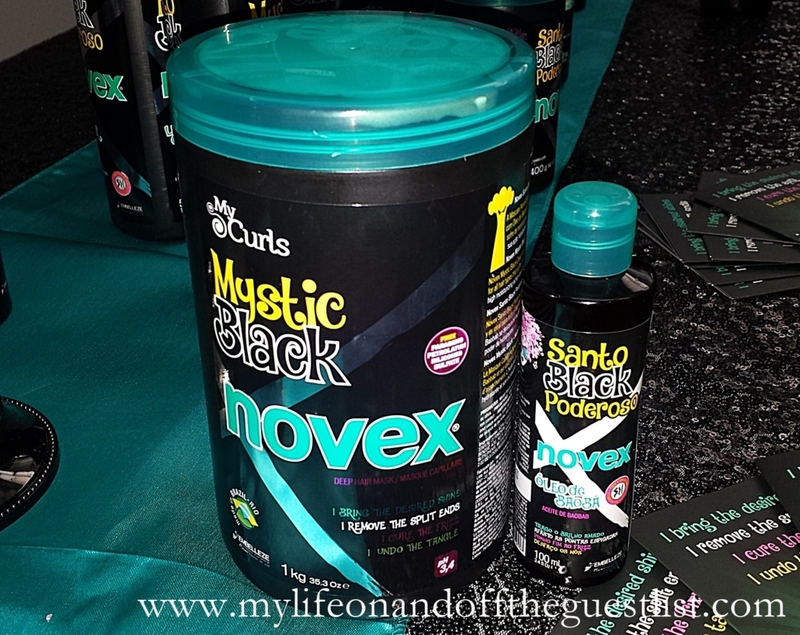 Novex Mystic Black Baobab Oil – a natural frizz controller and shine enhancer. The oil can be added to the deep hair mask treatment to enhance even more the results or it can be applied in the hair length for shine and smoothness. 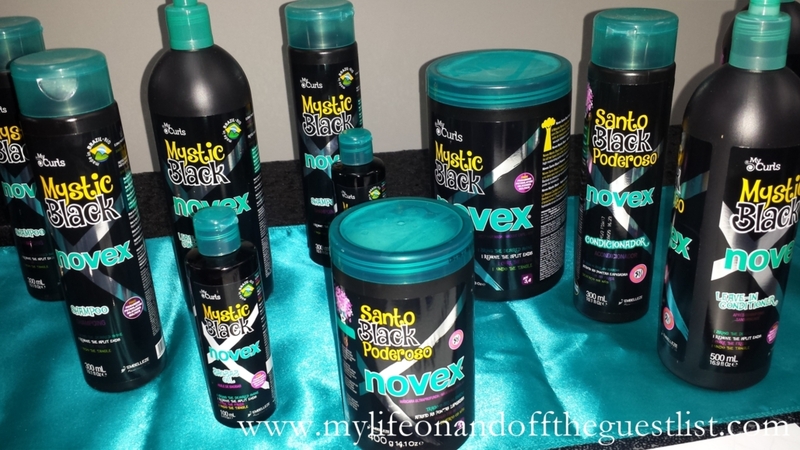 Novex Mystic Black Spray Detangler – a powerful detangler in spray infused with Baobab Seed Oil enriched properties which makes the detangling process much smoother. It will give your hair the extra shine it needs for styling and protection of your hair from dryness and split ends. The Novex Novex Mystic Black products are without Parabens, Petrolatum, Silicones, and are Sulfate-free. 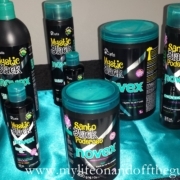 Purchase the Novex Mystic Black Collection on www.novexhaircare.com. By now, we’re all aware of the vast benefits of Superfoods. They contain disease-fighting compounds and are either nutrient and/or antioxidant rich. You know what these superfoods can do for you internally, imagine what they can do for your skin! 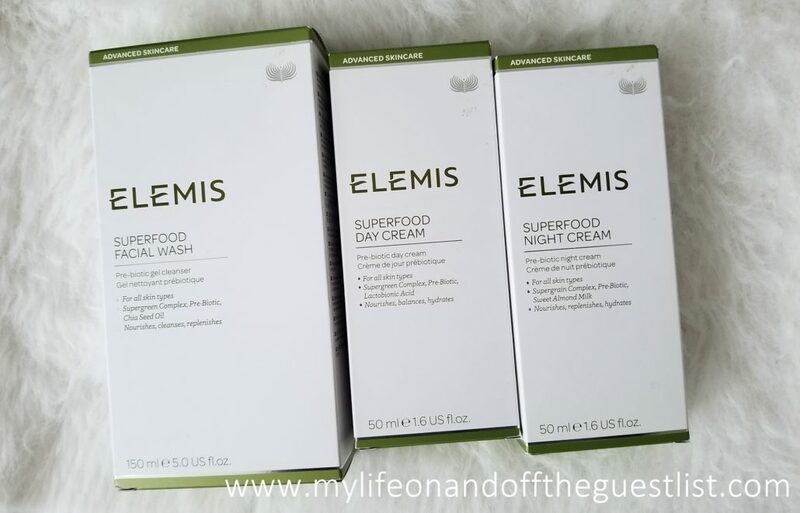 Elemis, the award-winning luxury skincare, and body care brand have just launched the NEW ELEMIS Superfood Skincare range, a collection of 100% vegan-friendly skin care products that will rescue your winter dry skin and return it to its healthy glow. The new ELEMIS Superfood Skincare range features a trio of plant-based, nutrient-rich products that help to nourish and revitalize the appearance of your skin. 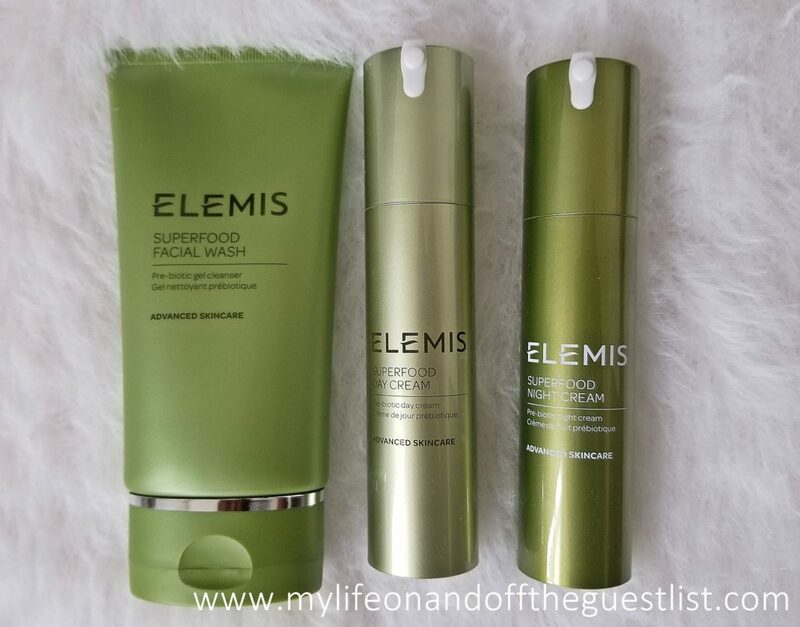 They include the ELEMIS Superfood Facial Wash, ELEMIS Superfood Day Cream, and the ELEMIS Superfood Night Cream, joining the already bestselling and award-winning ELEMIS Superfood Facial Oil ($55.00). Just as superfoods help your body from the inside out, this trio feeds your complexion from the outside in with the pure power of concentrated superfoods, for optimal skin health. Essential to these power-packed formulas are Supergreen and Supergrain Complexes, rich in anti-oxidants, omega fatty acids, vitamins and minerals to feed the skin with nourishment. The Superfood skincare range features a Pre-Biotic, designed to aid in supporting the good-for-you microflora on the skin’s surface, helping to balance and maintain the skin’s delicate ecosystem. The Superfood Facial Wash ($25.00) is a refreshing gel cleanser with a nutrient-dense Supergreen Complex consisting of Wheatgrass, Kale, Nettle, and minerals that deeply cleanses, nourishes, and revitalizes your skin leaving you with a radiant and luminous complexion. The Superfood Day Cream ($45.00) is a pre-biotic day cream that balances and moisturizes your skin with anti-oxidant and omega-rich Superfood lipids, Broccoli, Flax Seed and Daikon Radish, that leaves your skin plump and smooth, and Superfood anti-oxidants such as Ginger, Matcha Tea, and Goji Berry, to help protect the skin barrier. The Superfood Night Cream ($55.00) is an omega-rich, pre-biotic night cream that hydrates, restores, and replenishes dry and depleted skin. It contains Superfood lipids such as Chia, Black seed, Rice Bran and Flaxseed oils that intensely hydrates while you sleep, so you wake up with plump, healthy-looking skin. 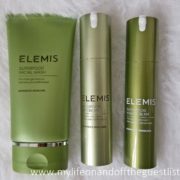 If you’re ready to give your skin what it’s craving, we advise you check out the ELEMIS Superfood Skincare Range, now available on www.ELEMIS.com. Like us, most of you have lavished your skin in Palmer’s Cocoa Butter products all your life, and most recently Palmer’s Coconut Oil Formula skincare products. Well, your hair is about to enjoy the same Palmer’s indulgence your skin has been lavishing in. 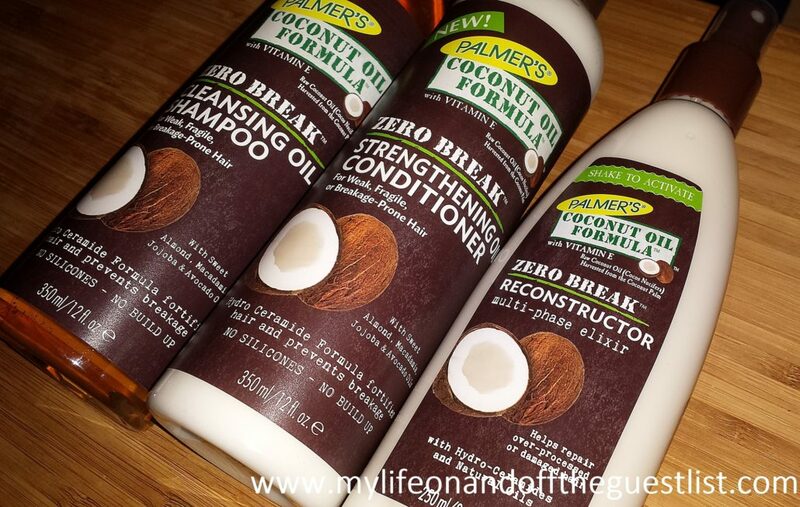 Palmer’s has launched its new Palmer’s Coconut Oil Zero Break range that works to protect hair so tresses can grow longer, stronger and healthier. Featuring a powerful formulation infused with nourishing Coconut Oil and Palmer’s innovative new Hydro-Ceramide Technology, the Palmer’s Coconut Oil Zero Break line works to replenish the natural lipids of the hair cuticle, helping to improve the strength of the overall follicle while reducing breakage, damage or splitting. 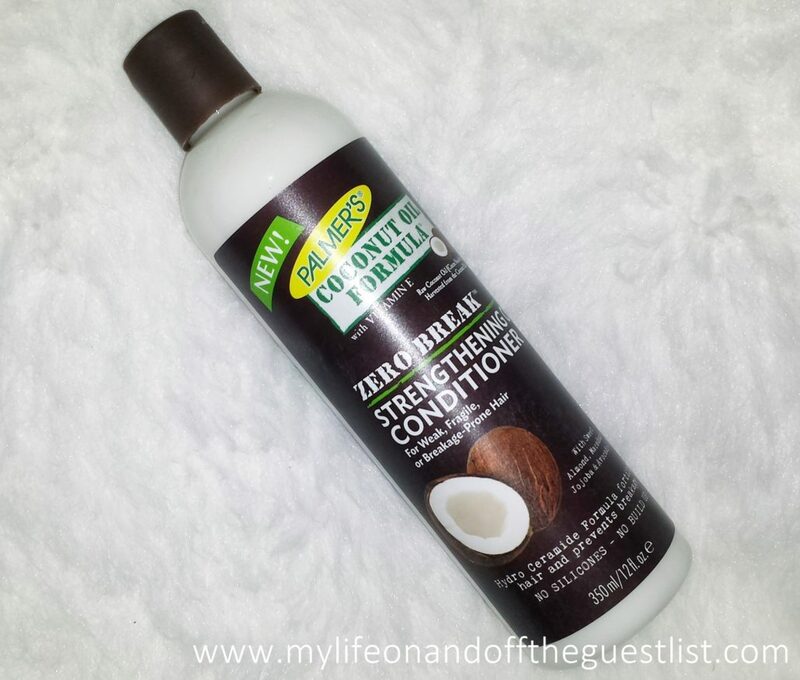 First of all, it smells amazing, and your hair will thank you for drenching it in this tropical healing fruit. For those of you prone to hair breakage, get ready to say goodbye to damaged hair thanks to Palmer’s breakthrough ceramide technology. This hair loving trio of products also boasts no sulfates, no parabens, no phthalates, no mineral oil, no gluten, no dyes, and no silicones. 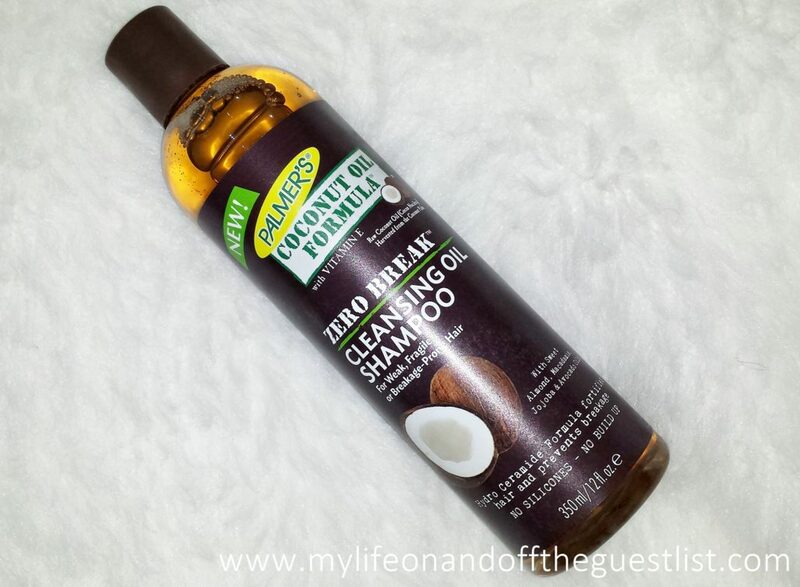 Palmer’s Coconut Oil Formula Zero Break Cleansing Oil Shampoo contains ethically and sustainably sourced extra virgin coconut oil and Tahitian monoi in addition to a hair-healthy blend of sweet almond, macadamia, jojoba, and avocado oils. This silicone-free formula fortifies hair optimal growth and shine without buildup or weighing hair down. 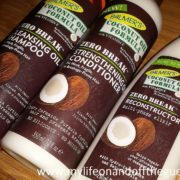 Palmer’s Coconut Oil Formula Zero Break Strengthening Oil Conditioner also contains ethically and sustainably sourced extra virgin coconut oil and Tahitian monoi in addition to a hair healthy blend of sweet almond, macadamia, jojoba, and avocado oils. This silicone-free formula fortifies hair for optimal growth and shine without buildup or weighing hair down. 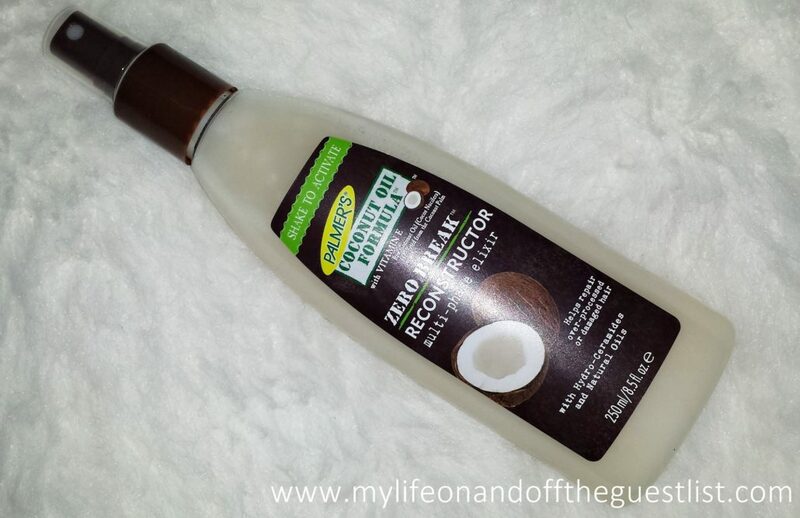 The Palmer’s Coconut Oil Formula Zero Break Reconstructor blends protective oils + ceramide-infused cream for hair that is stronger and less prone to breakage. The Zero Break Cleansing Oil Shampoo and Zero Break Strengthening Oil Conditioner retail for $7.95 each, and the Zero Break Reconstructor is available for $9.95. Get this nourishing and hair protecting trio now at select Target stores. We’ve all seen the commercials with the amazing before and after results using Proactiv. Because of those ads, most of us, yours truly included, couldn’t wait to get our hands on this breakthrough acne treatment regime. 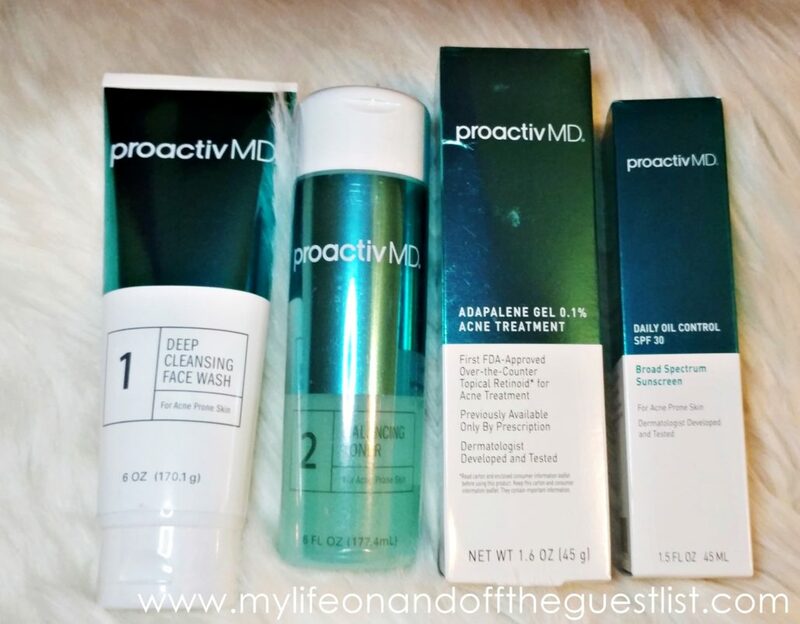 Well, Proactiv is blowing us away again with the introduction of their brand new acne-fighting ProactivMD System. This new acne treating system contains Adapalene, the first prescription-strength retinoid that is FDA approved to treat acne without a prescription. Adapalene is the first new acne-fighting ingredient to be introduced to the over the counter market in over 30 years. Proactiv’s NEW ProactivMD is a next-generation 3-step acne treatment system which consists of four products, a Deep Cleansing Face Wash, Balancing Toner, Daily Oil Control for morning use only, and Adapalene Gel 0.1% for nighttime use only. ProactivMD’s Adapalene works at the cellular level to help clear acne where it starts and prevent future breakouts from forming…. beneath the skin. As it clears up your blemishes, it also helps restore your skin’s tone and texture, unblocks and shrinks clogged pores, and reduces acne redness and inflammation. Step 1: Deep Cleansing Face Wash: gentle daily cleanser, developed for acne-prone skin, combines glycolic acid and smooth exfoliating beads to clear dirt and debris from pores and gently resurface skin for a smoother, softer looking complexion. Step 2: Cleansing Balancing Toner: an alcohol-free toner helps balance skin’s pH levels and removes impurities lodged deep within pores. This toner is alcohol-free and contains a light astringent to sweep away impurities leaving skin feeling fresh, revitalized and balanced. Step 3 (Morning): Daily Oil Control SPF 30: a lightweight, 3-in-1 moisturizer helps hydrate skin, control shine and protect from harmful UVA/UVB rays. The gentle formula absorbs quickly, is non-comedogenic and free of oil and fragrance. Apply liberally to face and neck each morning at least 15 minutes prior to sun exposure. Step 3 (Night): Adapalene Gel 0.1%: A topical retinoid medication is used to battle acne and treat blemishes. Adapalene helps speed acne healing, prevents new acne from forming, and reduces redness and inflammation while restoring an even skin tone and texture. “I see patients every day with low self-esteem and poor self-confidence due to their acne. The new ProactivMD system offers an easy-to-use solution with Adapalene that is scientifically proven to reduce acne. I am excited that my patients now have easy access to an affordable system that I know from first-hand experience will help their acne and make them look and feel great!” said Proactiv dermatologist partner Dr. Ted Lain. 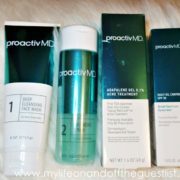 The 3-step ProactivMD system is available now at $29.95 monthly for non-members on www.Proactiv.com, or by calling 800-235-605. 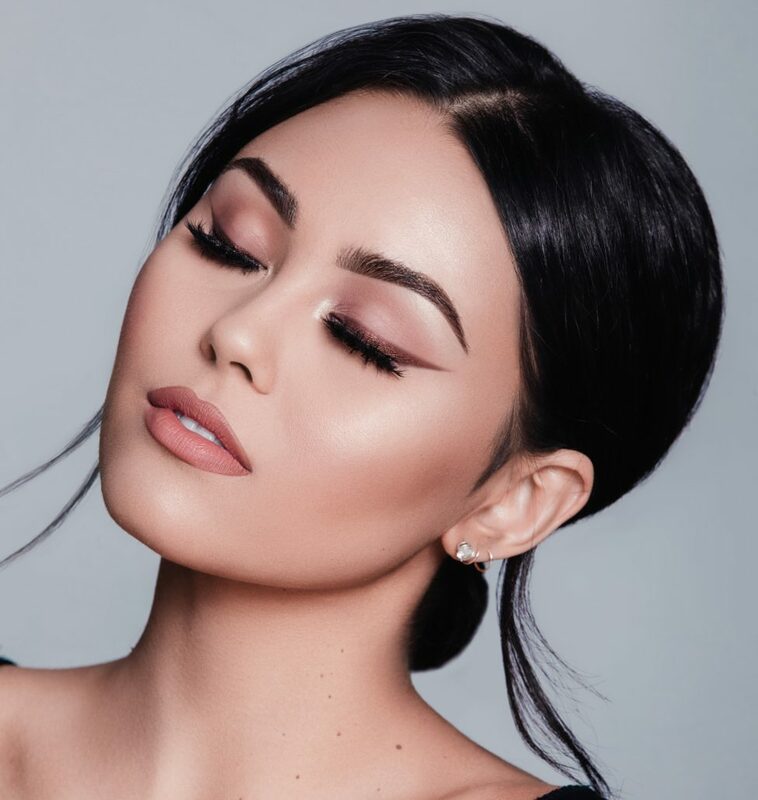 Spring is the time of renewal and welcoming in new things, so what better time than the upcoming spring season to welcome some new makeup into your life. 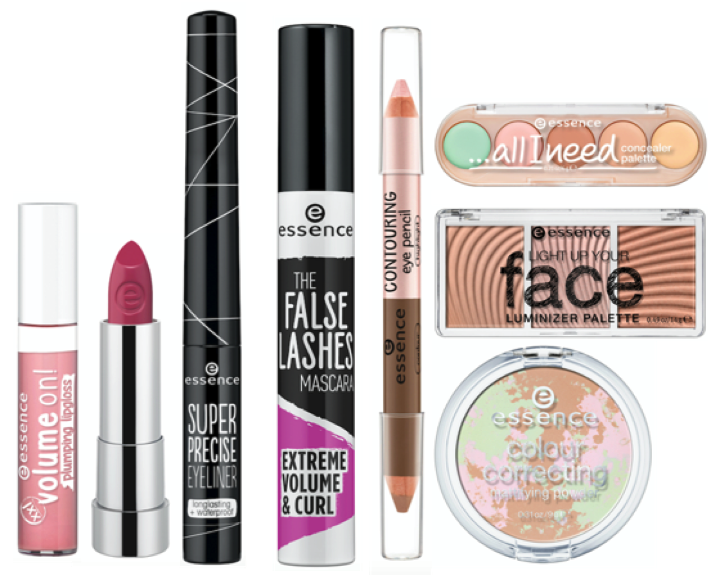 We’re very excited about the NEW Spring/Summer 2017 Collection from essence cosmetics, a vast offering of cosmetics for face, eyes, lips, and nails. This smooth new lipstick glides over lips to provide a sophisticated, long-lasting matte finish and bold color without drying out. 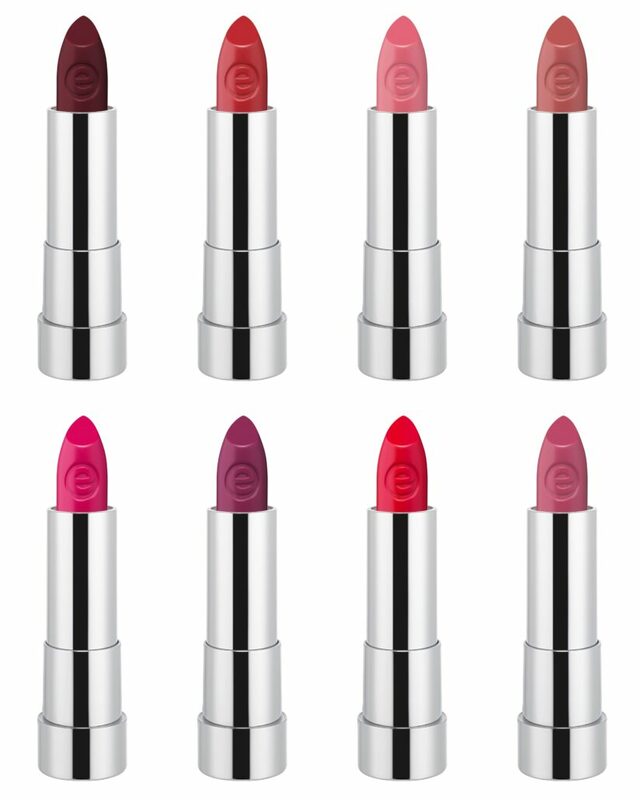 The matt matt matt lipsticks are available in 8 shades: kiss me if you can, purple power, it’s a statement, perfect match, pink up your life, wow effect, red-y or not?, and natural kiss. The feathery light minty flavor and formula helps volumize to reveal luscious, fuller-looking lips within seconds of applying. Wear alone or as a topcoat over your favorite lipstick. The volume on! 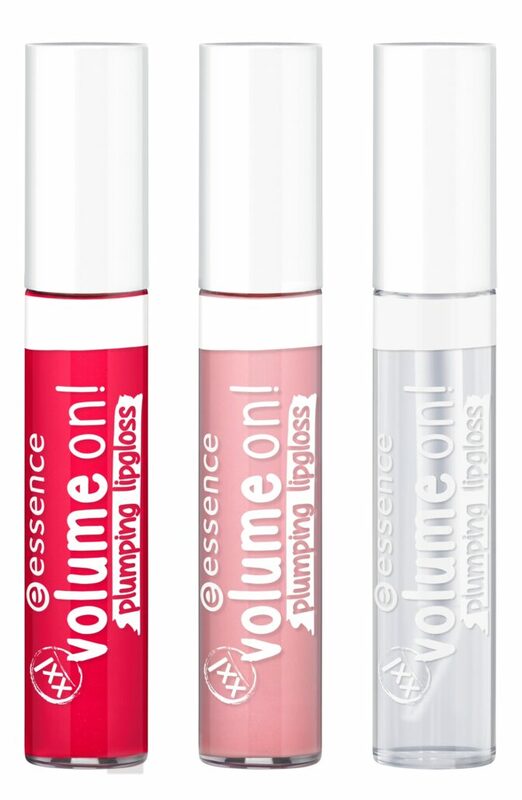 plumping lipgloss is available in 3 shade: c’est bon, c’est bonbon, less is more, and perfectly dressed. The super precise brush tip allows you to achieve a natural and simple look. It’s long-lasting and waterproof formula will allow you to wear it all day. 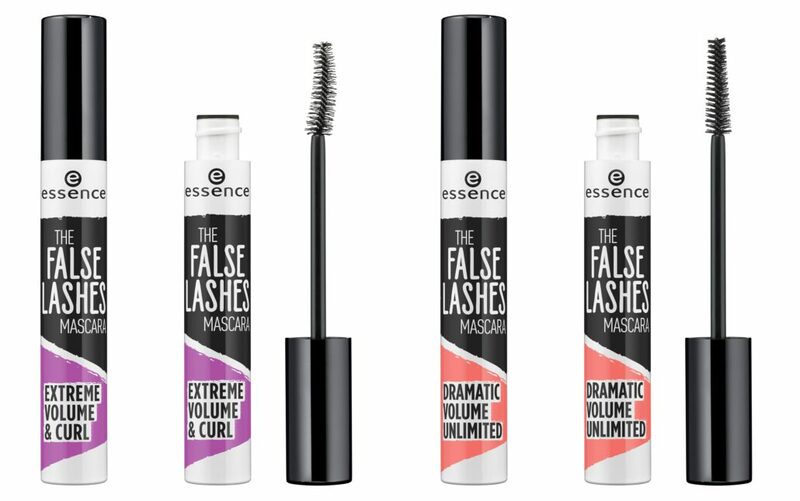 The volumizing formula creates impressive volume, while the curved fiber brush envelops every lash to create powerful curl, the combination of both gives the perfect false-lash-look plus curl-effect. 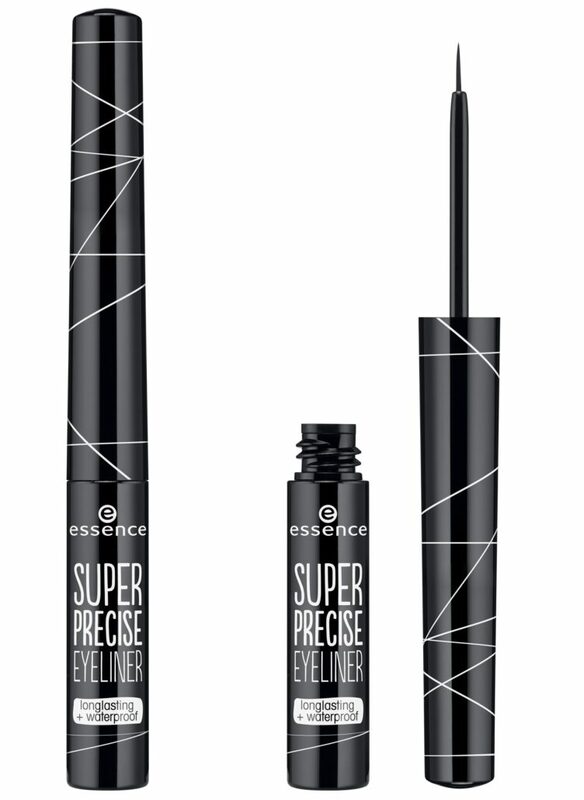 Our new eye pencil is double-ended to help enhance and shape the eyes for a mesmerizing look. It also works as a liner, eye shadow, and a highlighter. The contouring eye pencils are available in 2 shades: caramel meets frosting and chocolate meets vanilla. 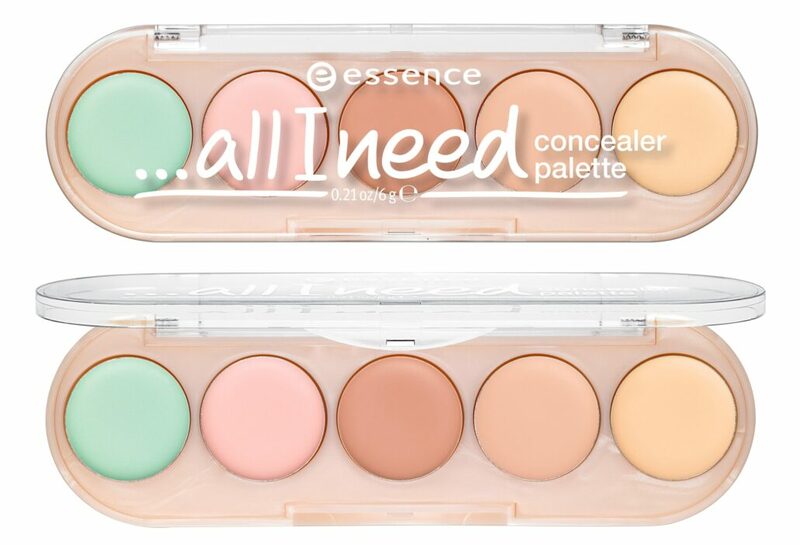 This new creamy, powdery textured concealer palette offers a variety of color combinations to adjust to any skin imperfections and help reduce the appearance of dark circles and redness. These three silky-soft, luminizing powders are everything you need to get rid of harsh light and achieve a healthy-looking, radiant finish. This gentle, silky, and matte color correcting powder evens out skin tone and absorbs excess oil. The pink, green, and beige colors come together to refresh a tired complexion, neutralize redness and mattify for a natural even skin tone. 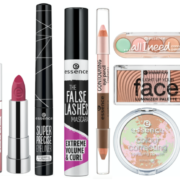 The essence cosmetics collection is available on www.essencemakeup.com, and in store at Target, and Ulta! The collection is quite affordable, ranging from $.99 to $9.99, so you’ll never have to worry about breaking the bank in the name of beauty. What are your thoughts on the essence cosmetics? What products are you excited for?